The Arizona real estate market has taken its fair share of downward spikes in the past 5 years, and if you are looking to sell your home for what it was worth before the crash of phoenix real estate, you may need to have something extra to offer your buyers like exterior mounted sun screens. There are tens of thousands of Phoenix homes on the market, and each one unique in their own way. 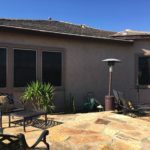 Exterior mount sun screens are a great addition to any Phoenix residence, and could be the one thing that sets your house apart from the rest. Everyone who lives in Phoenix or has lived in Phoenix, knows that our summers are among the hottest of anywhere in the world. And let’s face it, the way contractors were building houses in Phoenix in the early 2000’s in less than a months time from start to finish, almost every new home these days is less efficient that desired, and could benefit from exterior sun screens on the windows. Exterior mount sun screens are an upgrade that pays for themselves, and would give any potential homebuyers the peace of mind that your home is more efficient than the ones without. They add comfort and privacy to your home and protect your furniture and expensive rugs from harmful UV rays. 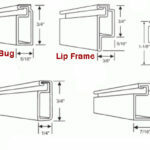 Exterior solar sun screens are extremely cost effective, and add great value to your home. Sunscreens add pride of ownership, and they give confidence to homebuyers that the house was well taken care of. Potential Phoenix homebuyers see sunscreens as a preventative to premature failure on your air conditioning unit. Exterior sunscreens also protect your window seals and trim pieces from warping or failing due to the extreme heat of the direct sun. The people looking to buy your home will appreciate your investment into solar sun screens as much as you do. Believe it or not, the cost of your utility bills can be a major factor for many Phoenix homebuyers, and if you have exterior sunscreens on your home, your utilities will be noticeably less than the competing homes for sale. Every detail counts when trying to sell your home, and having exterior sunscreens is one detail that should not be overlooked before trying to sell your house. If you have been questioning whether or not to install exterior sun screens on your home, contact Screens Unlimited sun screen company today for an estimated sun screen quote to see what value you can add to your home.